Purchase your Las Vegas attraction tickets and we will give you a FREE $10 Planet Hollywood Dining Voucher to use on your holiday! 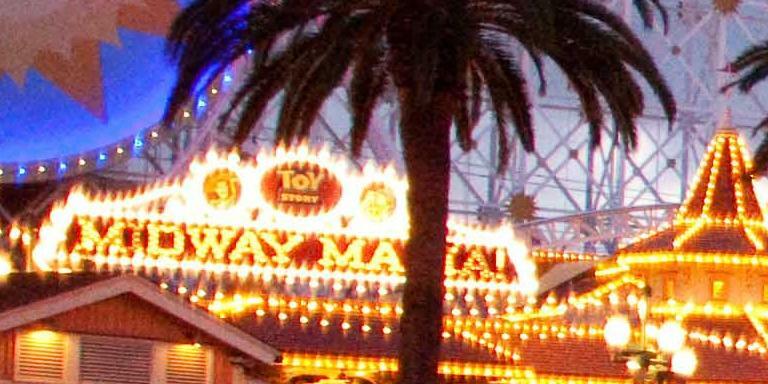 Disneyland California - Save 20% on 2019 Departures! 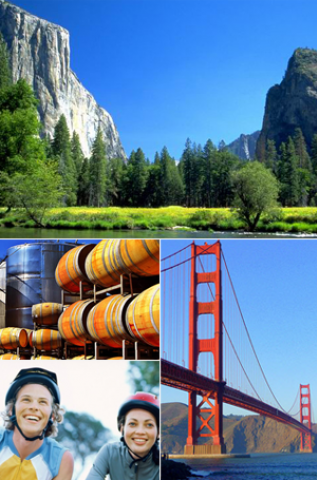 Save up to 20% on Disneyland 3,4 and 5 Day tickets for travel until 23rd May 2019 - date restrictions apply! 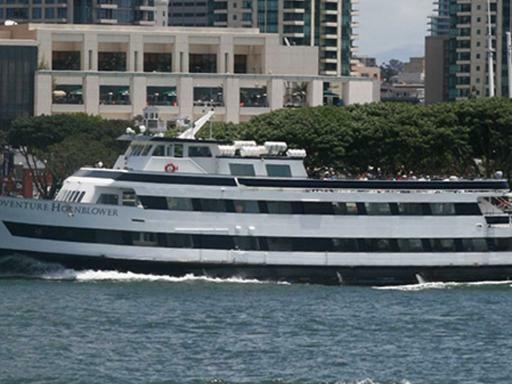 Witness nature first-hand as you relax and enjoy this incredible San Diego whale and dolphin watching cruise. 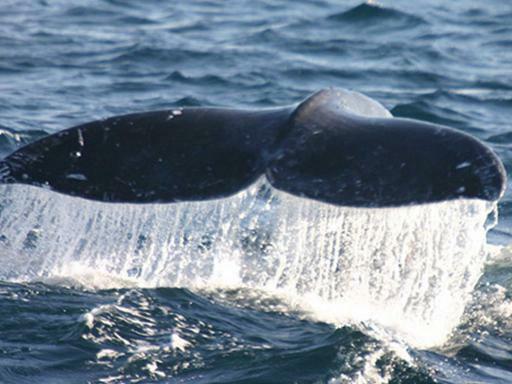 Sail the open ocean on a comfortable yacht to see pods of dolphins, sea lions and the magnificent California gray whales on their annual journey from the Arctic to California's Baja Coast. 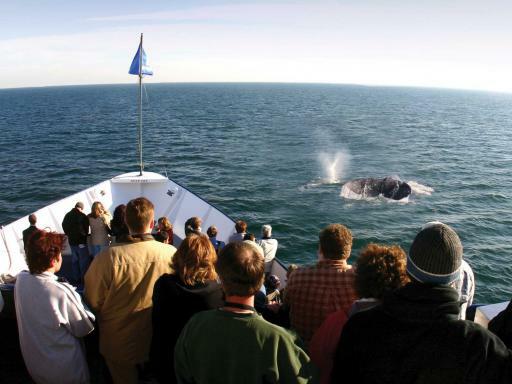 If you love whales, dolphins, sea lions, and sea birds, hop on board for a breathtaking experience on the open ocean spotting the incredible array of marinelife which frequent the picturesque Southern California coastline. 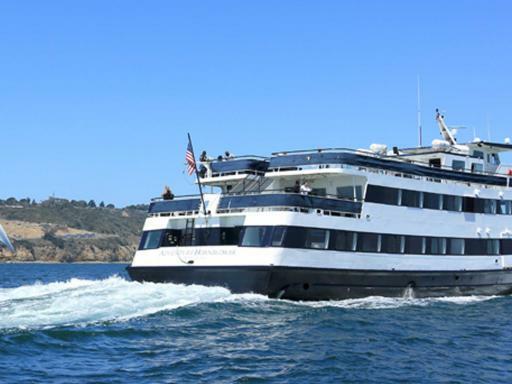 Speed out to sea on a large, comfortable yacht, passing barking sea lions and pods of leaping dolphins on this 3.5 voyage where you'll stay cozy and comfortable with both indoor and outdoor seating and a snack bar featuring hot food, a full bar, and souvenirs. 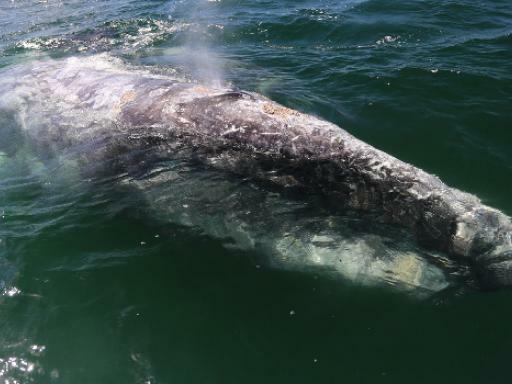 Search for the legendary gray whales on their annual migration from Alaska to the warmer waters of the Baja Peninsula, Mexico and then again on their return North to their summer feeding grounds. 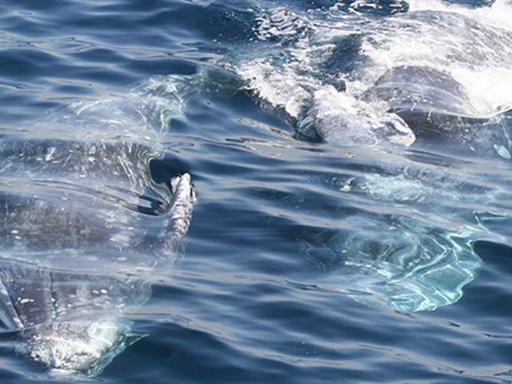 Gray Whales are reknowned for migrating the longest distance of any mammal on Earth and some 20,000 of these magnificent mammals migrate annually.. 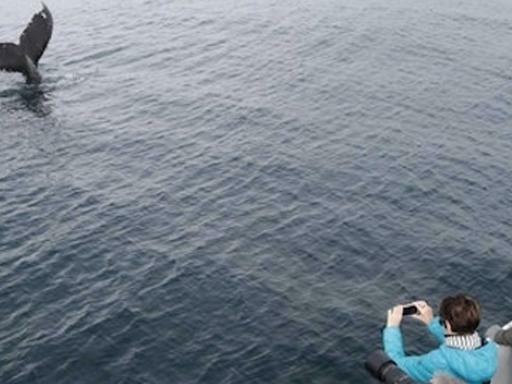 Throughout the year various types of dolphins are encounted in the area, with some pods numbering into thousands and these playful locals regularly seek out the boat to show-off their amazing acrobatic abilities! 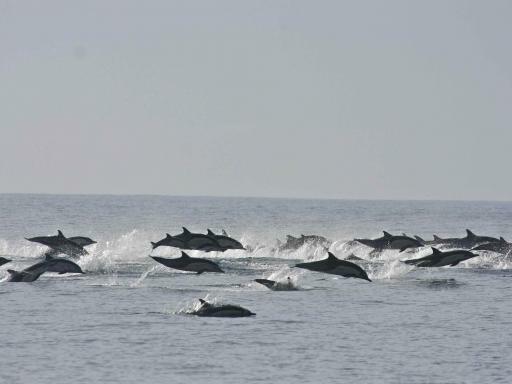 Short-beaked and Long-beaked Common, Pacific Bottlenose, Rissos, and Pacific white-sided dolphins all live in the waters off San Diego. Throughout the tour, you’ll be treated to a live narration by your experienced captain and an on-board naturalist (from the San Diego Natural History Museum). 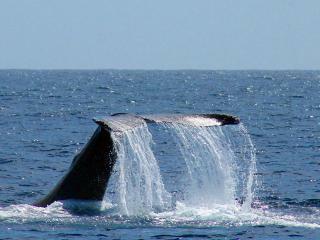 What's more, if no whales are sighted, you will be given a voucher to use on another whale watching cruise or San Diego harbour cruise! Departure Location: North Harbor Drive, San Diego. Departs: The season runs from mid December to mid April. No outside food or beverage is allowed onboard the yacht. There is a snack bar with adult beverages, soft drinks, hot and cold snacks, plus souvenirs available on board for purchases. Boarding starts 15 minutes before the cruise departure time. You must arrive before the schedule departure time as the cruise will not wait for latecomers. Infants aged 3 and under go free, however please advise they are travelling at time of booking. 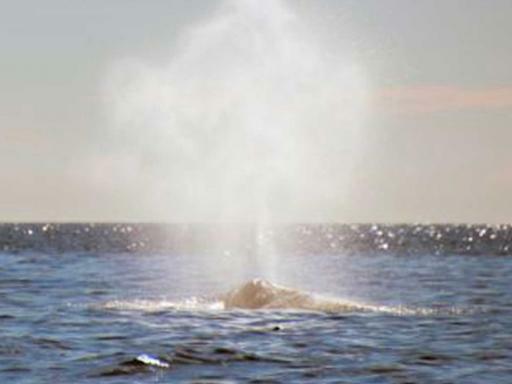 As this is a natural experience, whale sightings cannot be guaranteed. 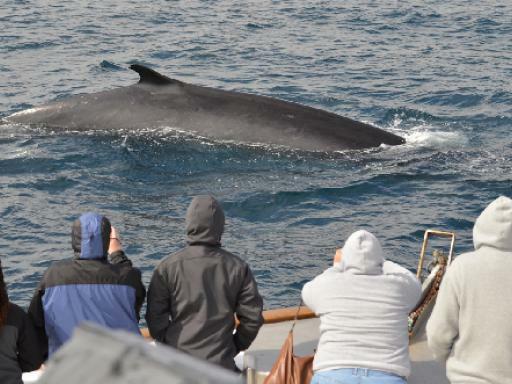 On the rare occasion that whales are not seen, you will be given a 'whale check' that is good to use on another whale watching cruise or San Diego harbour cruise. Is the ship wheelchair accessible? The cruises do have accessible yachts in the fleet. However, not all yachts and decks are accessible. Please make us aware if you require any assistance at the time of booking so we can ensure accessibility for the date you are planning to cruise. Universal have revealed that the latest attraction at Universal Studios Hollywood will be opening this summer.